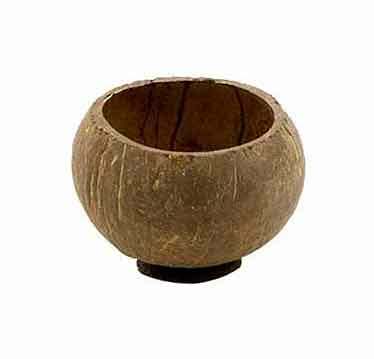 This authentic coconut cup, made from real coconuts are imported directly, not from Hawaii, but the Philippines. Kava is traditionally consumed out of coconut shells just like these, which are as authentic as they come. Since Mother Nature creates these, no two are alike and perfectly matched sets are not possible. Each cup holds approximately 10 ounces. This unpolished coconut cup fits perfectly in 1 hand and holds 1-2 servings of kava drink making it perfect for kava parties. Ask for quantity discounts. It is durable and washable too. For the kava connoisseurs, we offer the very elegant, hand-crafted Acacia Wood Bowls for Kava.